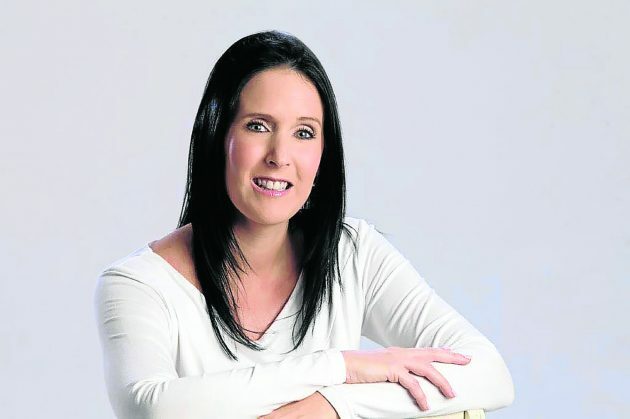 Taryn Woodbridge is a CA and a Divisional Manager of finance and controlling at Mercedes Benz South Africa. She started at the company in 2004 in the Controlling Division and went through the ranks of manager: plant performance and operations and manager accounts and tax before being promoted to her current position. Taryn is a passionate mentor and coach for the next generation of leaders and is actively involved in developing young CA’s at Mercedes Benz’ East London plant since 2008. She sits on the committee of the Angel Outreach initiative, engaging with children from various children’s homes. At MBSA she is spearheading the Women’s Forum and employee volunteer initiatives. She has a Masters degree in Taxation from Rhodes University. In this interview, she talks to us about her money habits. In an economic downturn, everyone should be more mindful of how they are spending their money and where you may need to cut back, on the one or other item which is not a necessity. If you have a budget and keep an eye on your spending patterns, then this supports in getting you through the tough times. With slow growth and high inflation, I can definitely see an impact in the amount of available money but you have to keep your eyes open, be prepared and plan accordingly. I have not necessarily had to downsize, no. I would say however that there is definitely far less spending on luxuries like dinners, take-out or vacations or those extra pairs of shoes or outfits. I have always been cautious of my spending and tried to put money away where possible to ensure that there are some savings to tap into if there is a need to do so. What are you doing to remain positive about your financial well-being during these tough times? I always try to take a mid to long-term view on financial development and my financial position, to keep in mind that short cycles can either show gains or losses and that South Africa as a developing economy has massive potential for the future. Having been taught to save since I was a little girl, has also kept me financially smart and fit, and by keeping track of my spending habits I can still enjoy the occasional treat which keeps me positive. What I have noticed lately is specifically food and household items. A few years ago I remember loading a trolley full of groceries that would last our family of four, for a month - costing in the range of R1000, and now when I go to the shops perhaps three packets cost R1000. Food and general household products are the most expensive for me nowadays. My parents taught my brother and I to save from a very early age and to have respect for money and financial well-being. We lived very simply and realised that excess money was not readily available, we never wanted anything but were taught the difference between a want and a need. I started working from the age of 14 supplementing my pocket money so that I could save up for that new outfit that I wanted or a treat for myself. I was not just given money by my parents, pocket money came with chores and anything else I had to earn on my own, which really taught me the value of money and a great life lesson which I carry through to today. READ ALSO: What is your money management style? Yes, we do. Since we were married we have had a joint bank account and everything is shared equally. What are you teaching your daughters about money? I am trying to impart on them the same values that my parents taught me. That they also have to be responsible about money and earn the money that is given to them. That not everything they want they can have and saving is very very important, hence each of them having their own savings accounts from an early age. When you are not borrowing from tomorrow. When what you earn vs what you spend on a monthly basis is in the positive, allowing you to save for a rainy day or holiday you want and not overspend by accumulating massive credit card debt or loans. This means that you have to carefully plan and budget your earnings vs your spending and review what you need vs what you want, and not to get yourself into a situation where your lifestyle is more than you can afford. Trying to ensure that I can put some money aside each month to save for my daughters’ university education and ensuring that there are sufficient financial resources available to cover the cost of our bond for our home on a monthly basis. In the event of an emergency, are you prepared financially? Yes, I am. Saving is very important to me and I would rather go without a want/desire in a particular month and save that for the future. I have been doing this since little and with compounded interest and continued saving ensures that I have resources available in an emergency. No, I would not say I have been broke but I have been through many financially tougher times that cause you to be very critical in reviewing how you spend your money. For example when I first left school and started studying and wanted to rent my own flat - this was a big step for me and I had to find ways to make ends meet where I had never previously had to pay rent. Buying our first house when we were married also came with responsibility and we had to carefully review our spending patterns to ensure we could cover the debt. Not everyone is taught how to budget and watch what they spend. People are swept up in the temptation of all the advertisements or through peer pressure to have what their friend or neighbour has and may use their credit cards to satisfy this want, without proper thought of how they would pay this back and what hardship it could put them into down the road. I would buy a property, this is generally a more secure investment in the long-term showing positive growth and appreciation over time. If it is an investment property it could be rented out to cover some of the bond costs by allowing the tenants to help pay towards settling the bond. Eventually, you have a fully paid for the appreciated asset as an investment. Shares are also a good investment if you know what you are doing and which companies to invest in, not everyone has the level of understanding of reading the stock market and financial ratios. The best, in my opinion, is to diversify if you are able to invest in both property, the stock market and more traditional investment options then you spread any potential risk there may be. Comfortable retirement to me means that our debt is settled and that we have enough to live on to cover basic needs for the duration of life. That there is no need to burden our children or family members for financial support. What’s the worst money mistake you’ve ever made if you’ve made any? What did you learn from it? When my husband and I got engaged we decided to start saving for our first house, we cut down our lifestyle considerably and saved every spare cent we could, unfortunately, we put it all into one financial institution that ended up going under, and we only managed to recover 60% of what we had saved. This was a big life lesson for us to not put all our ‘eggs in one basket’ and to rather diversify our investments, but it is something we learnt from and still apply this today. It’s always a pair of shoes or an outfit which I don’t need that ends up sitting in my cupboard unworn with the tag still on, those are my biggest regrets. A simple spreadsheet where I have an overview of my income vs expenses is all I need. This allows me to plan what limit I can spend on what card, what my normal monthly expenses are and what my leftover should be towards saving. I enjoy reading up on financial articles giving advice to various forms of saving and more especially being strict on myself from time to time in evaluating whether an item is really something I want or need. I generally do not lend money to family or friends, in my opinion, this can have an impact on the relationship however it does depend on the individual circumstances. In situations where I have lent it is important to set the boundaries of the loan upfront so there are no differing expectations or understandings in terms of repayment, this then secures the relationship and you are able to help out a person close to you. I also like to support others in rather giving advice on how they could be financially smarter with their money and perhaps where they need to review their spending habits and lifestyle. Watch that credit card debt, that it doesn’t get out of hand and consume you where you can no longer afford the repayments. Rather cut up the card and don’t borrow from tomorrow. When you are tempted to buy something as a “want” think twice perhaps rather go home and sleep on it and you may change your mind by the next time you go shopping. Keep a budget, analyse your spending for the particular month, look at items you could go without if necessary and how much you could save. Always try to save something for a rainy day, even if it is just R100 a month, compound interest is fantastic!